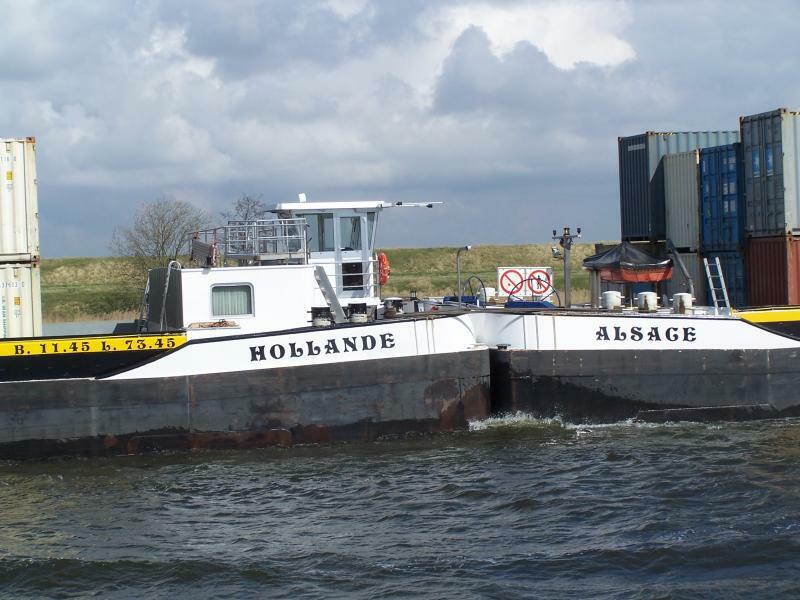 The self-propelled barges 1949 dwt Alsace and 1250 dwt Hollande went aground on the Rhine nearKarlsruhe, Germany. 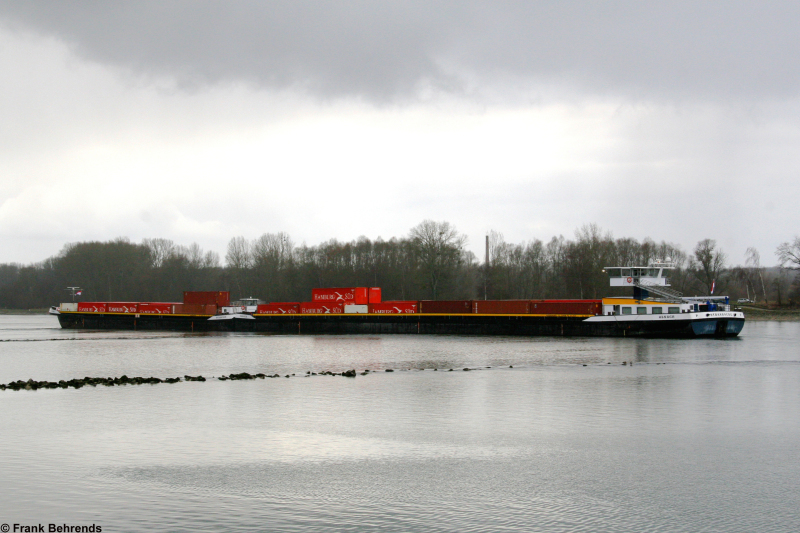 Loaded with 109 containers, the two vessels ran over two groynes before going hard aground. The cause of the accident was that the master of the vessel had fallen asleep at the wheel. Part of the cargo was damaged estimated at 100.000 (100,000) €. Salvage attempts have started.